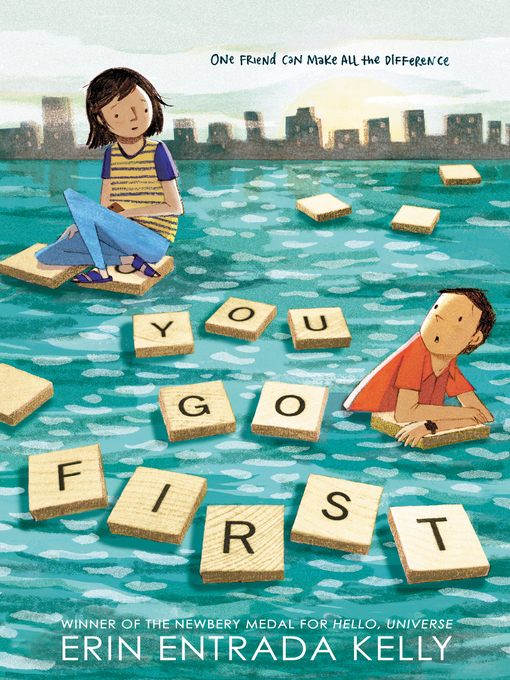 Funny and poignant, Newbery Medalist and New York Times bestseller Erin Entrada Kelly's national bestseller You Go First is an exploration of family, bullying, word games, art, and the ever-complicated world of middle school friendships. In a starred review, School Library Journal wrote that Erin Entrada Kelly can "capture moments of tween anguish with searing honesty." Twelve-year-old Charlotte Lockard and eleven-year-old Ben Boxer are separated by more than a thousand miles. On the surface, their lives seem vastly different—Charlotte lives near Philadelphia, Pennsylvania, while Ben is in the small town of Lanester, Louisiana. Charlotte wants to be a geologist and keeps a rock collection in her room. Ben is obsessed with Harry Potter, presidential history, and recycling. But the two have more in common than they think. They're both highly gifted. They're both experiencing family turmoil. And they both sit alone at lunch. During the course of one week, Charlotte and Ben—friends connected only by an online Scrabble game—will intersect in unexpected ways as they struggle to navigate the turmoil of middle school. The New York Times-bestselling novel You Go First reminds us that no matter how hard it is to keep our heads above troubled water, we never struggle alone. Newbery Medalist Erin Entrada Kelly writes with an authentic, humorous, and irresistible voice. This engaging and character-driven story about growing up and finding your place in the world is for fans of Rebecca Stead and Rita Williams-Garcia.